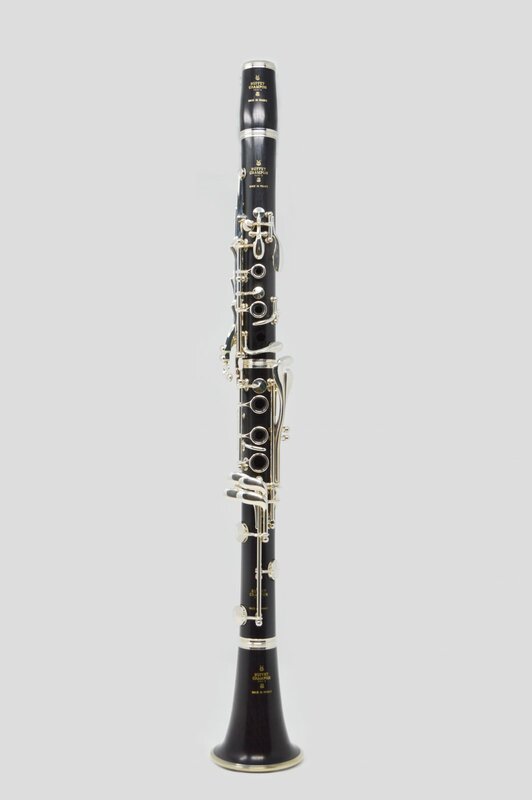 The Buffet Crampon R13 Bb Clarinet, the "Legendary Choice of Professionals," features stained African black wood, double fish-skin pads, an adjustable thumb rest, pointed needle springs, silver-plated keys, and a 66 mm barrel. Also available in Greenline material. Bridgepoint Music is an authorized Buffet-Crampon dealer.